The national past time in France. The gathering of the motorcycles was massive, cordial even festive. Terrible for traffic but quite the show for sitting at a sidewalk cafe on a Sunday afternoon. 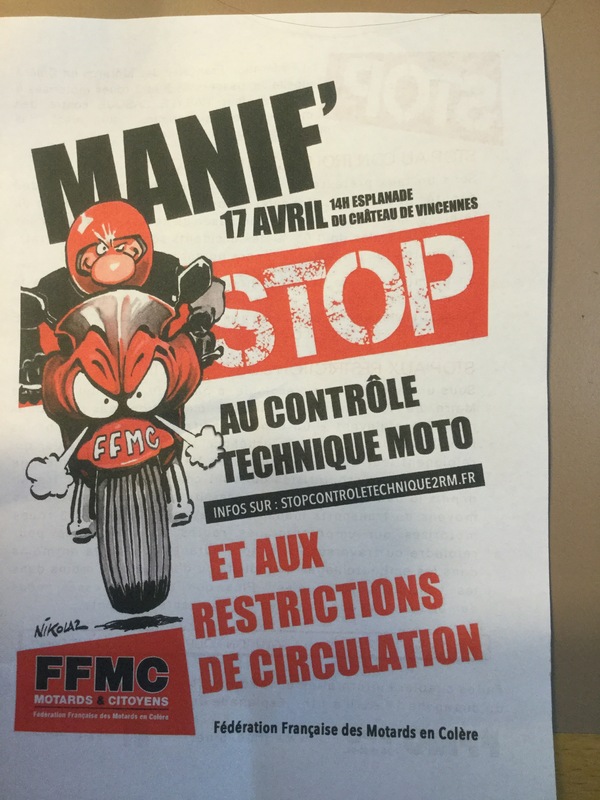 Posted on April 18, 2016 by lorigreerPosted in My JourneyTagged France, Motorcycle, Paris, Protest. I can imagine it sitting at a side-walk café but shudder at what is would be like driving. Interesting poster. Brings back thoughts of my visit to Paris. Hope I get to go again at some point, and really immerse myself in it. Hi, I hope it works out for you to go again soon. It is an amazing place. Thanks for reading and commenting. I hope you go again soon. One never tire of Paris.